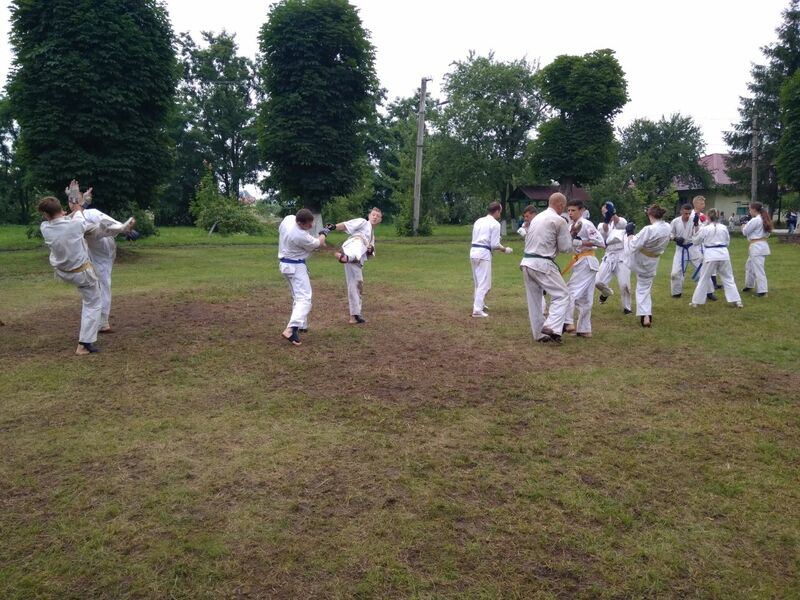 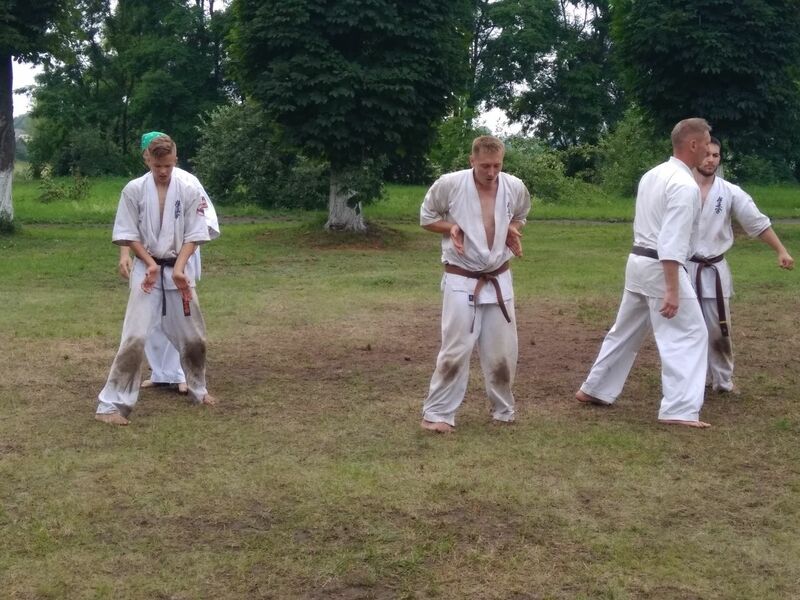 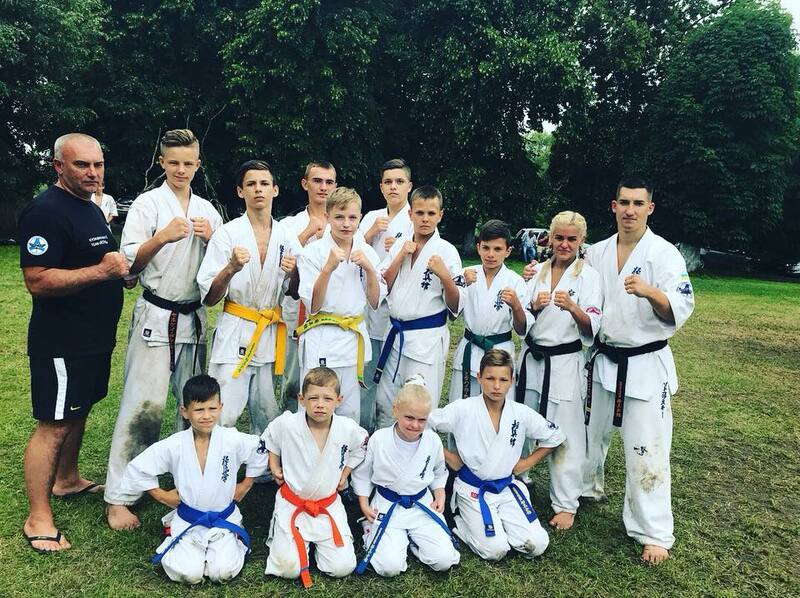 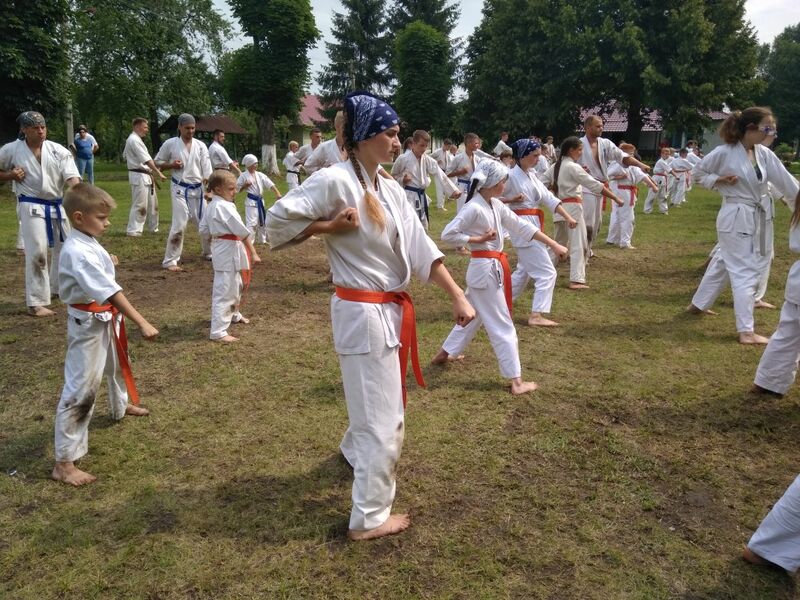 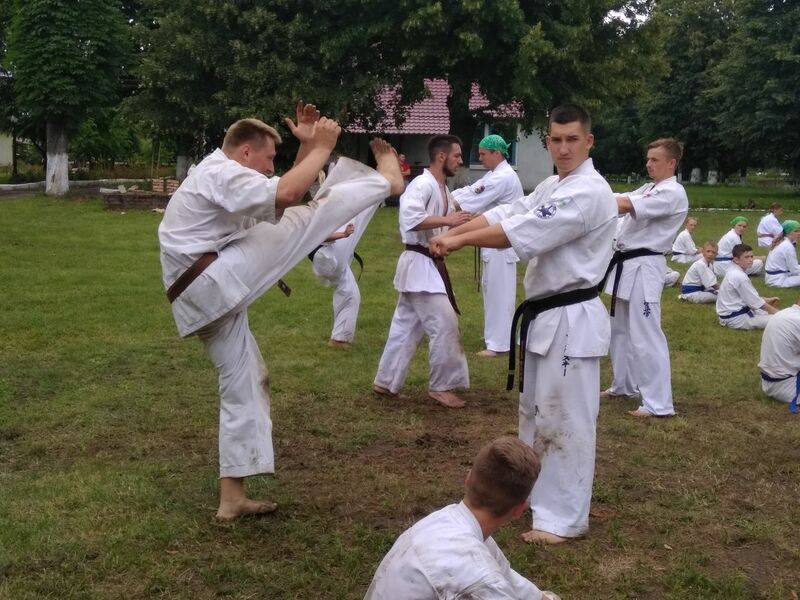 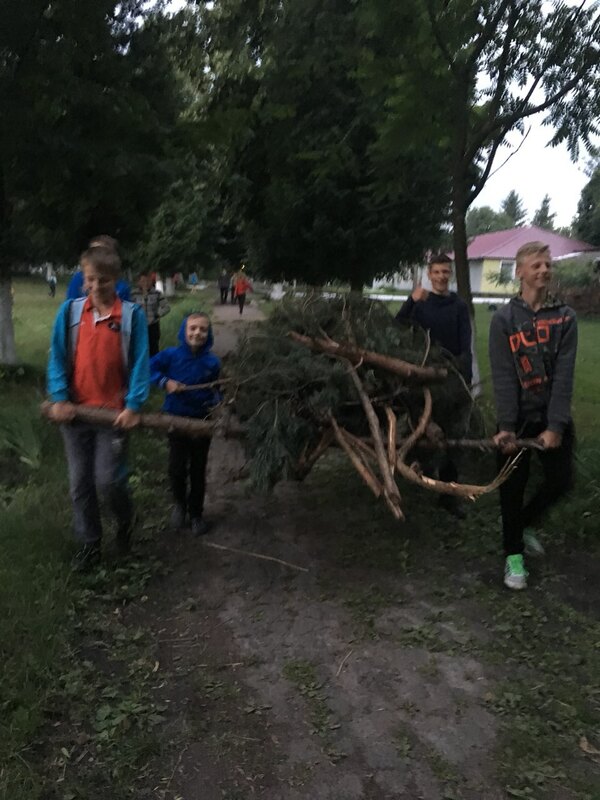 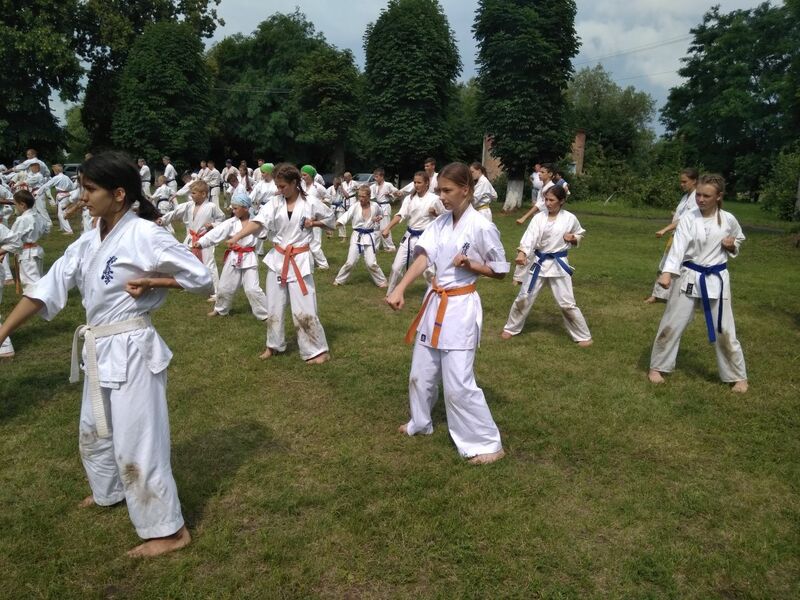 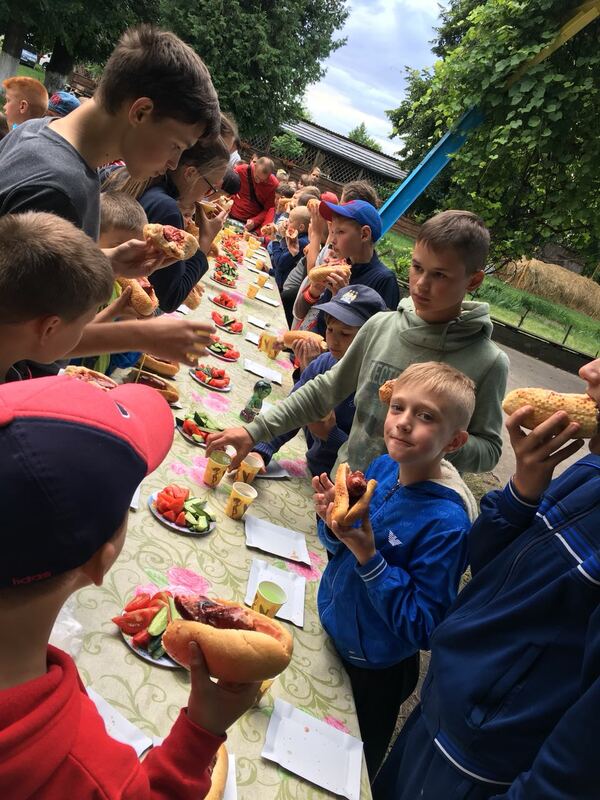 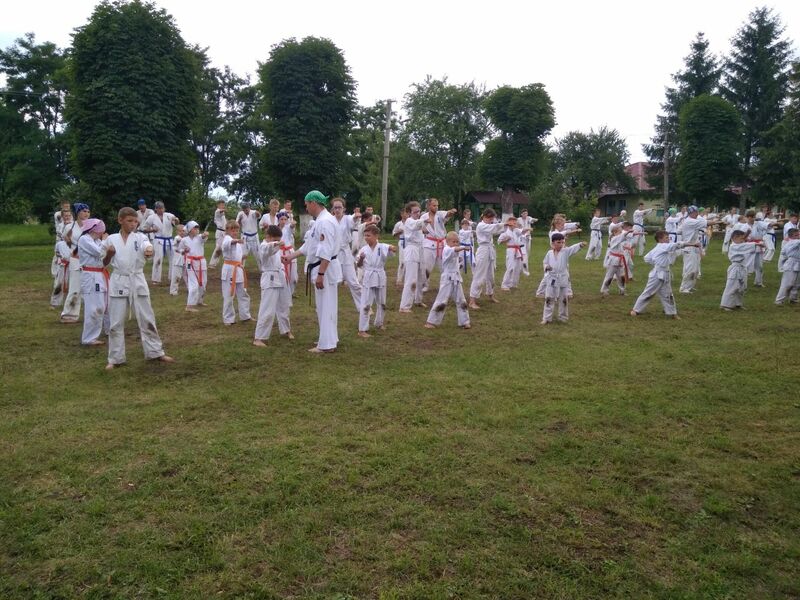 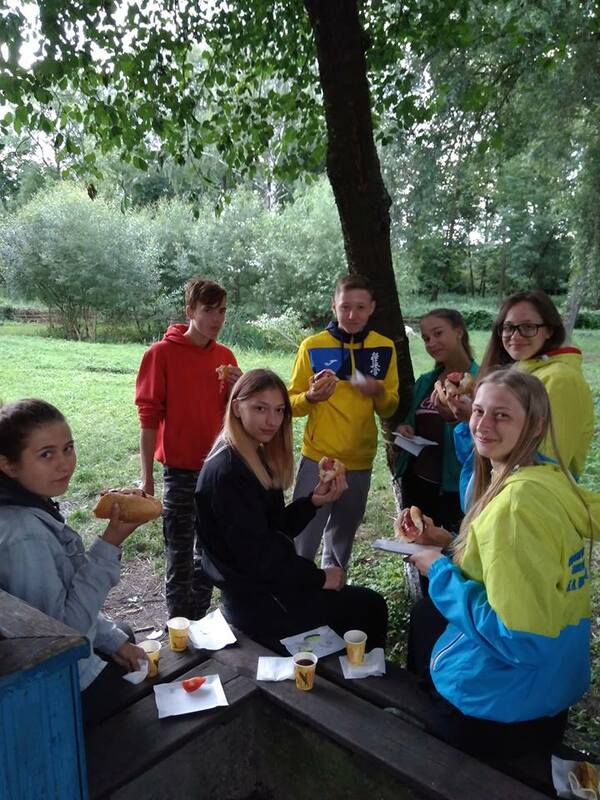 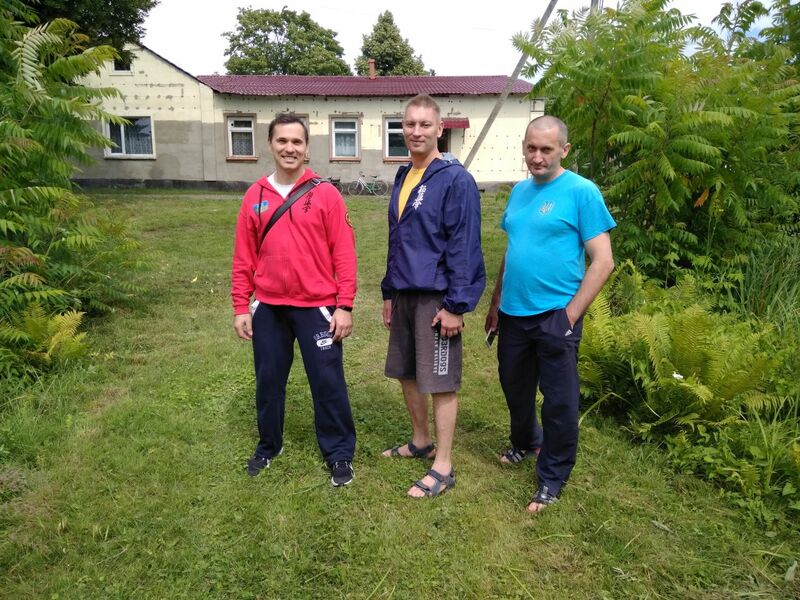 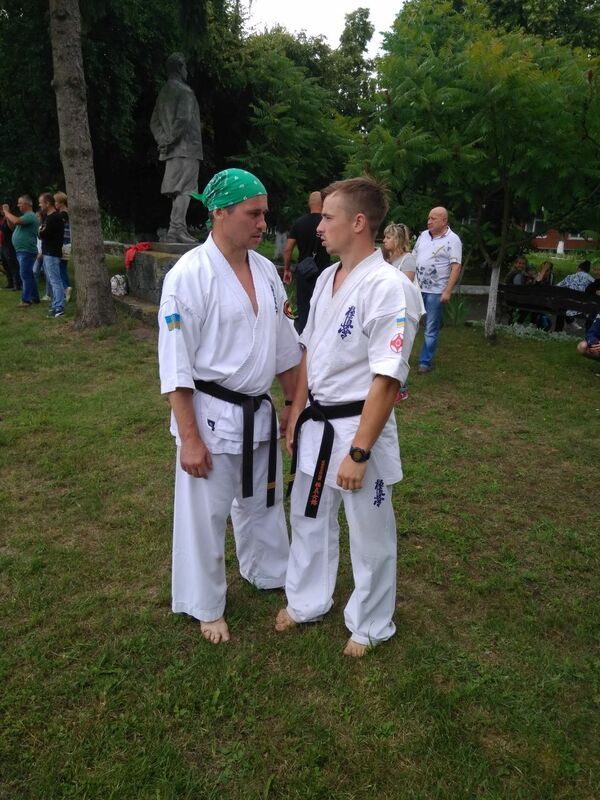 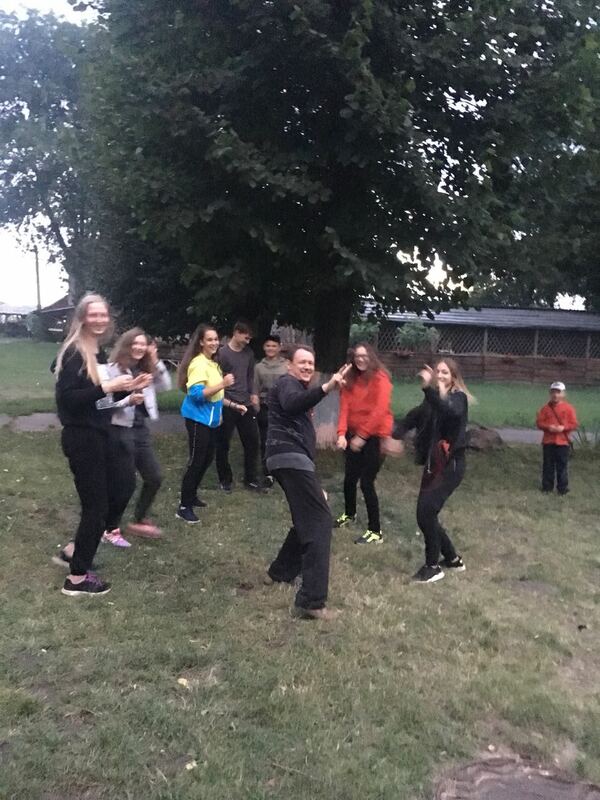 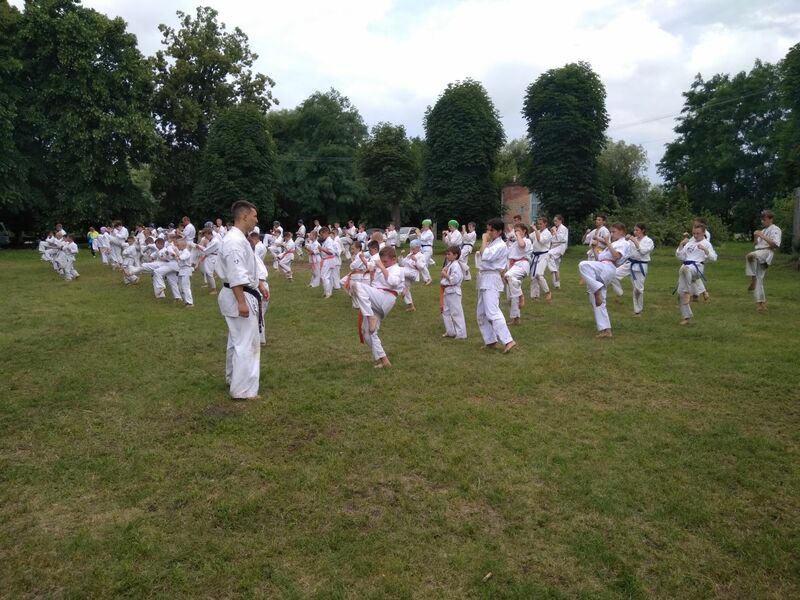 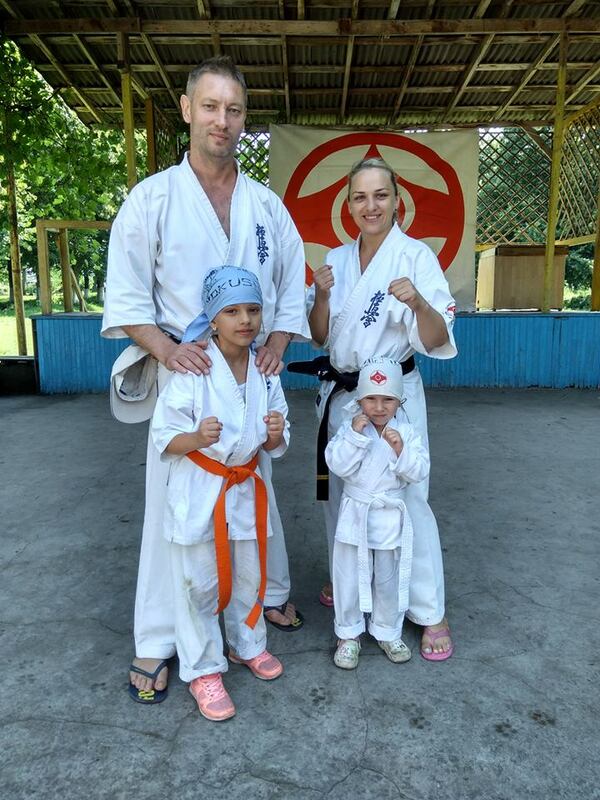 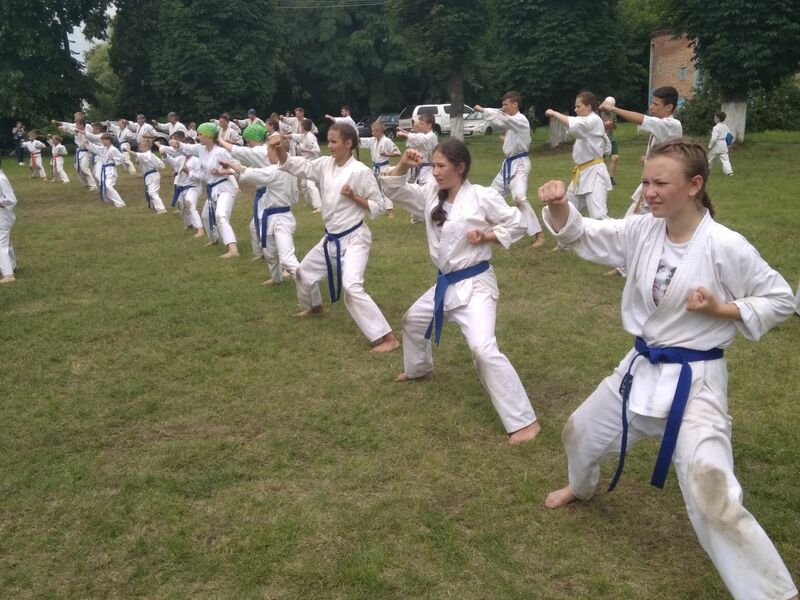 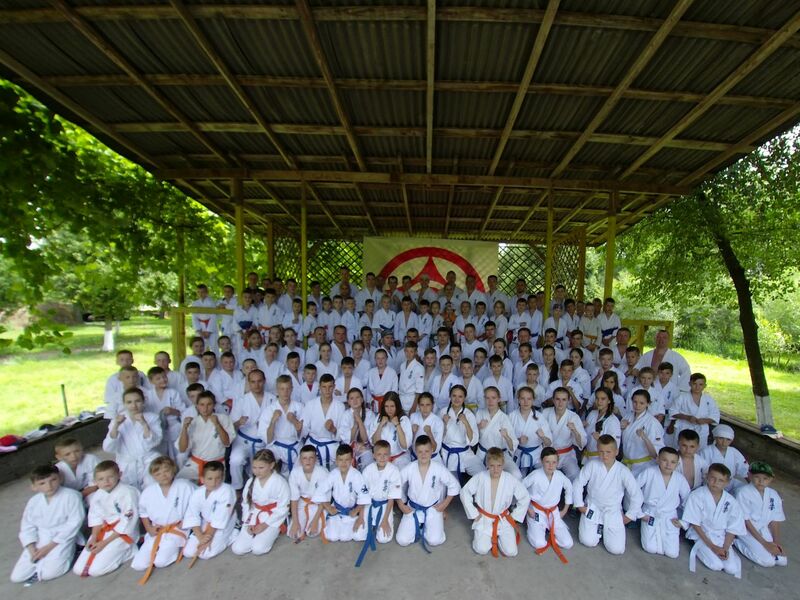 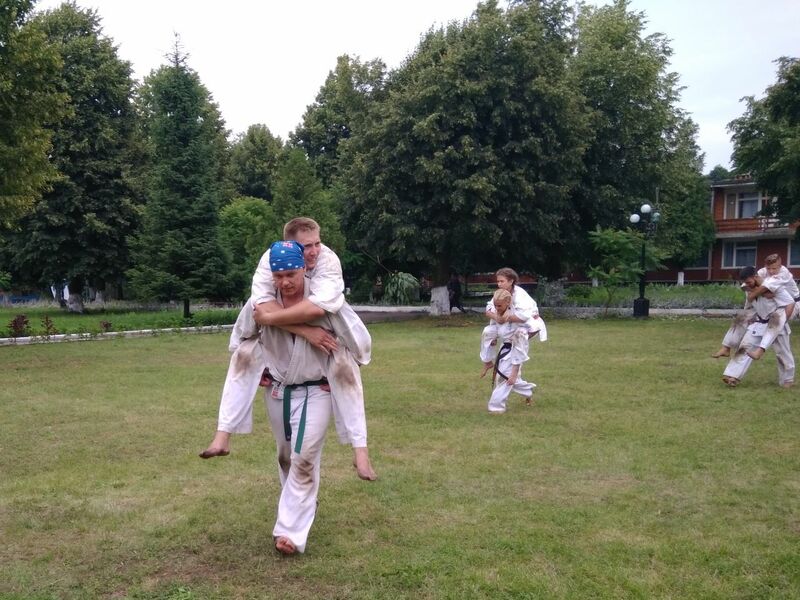 Summer training camp for sportsmen from Ukrainian Kyokushinkaikan Karate Federation was held at the recreation camp “Shahtar” (Pavlivka, Volyn region) from June 24th to July 1st. 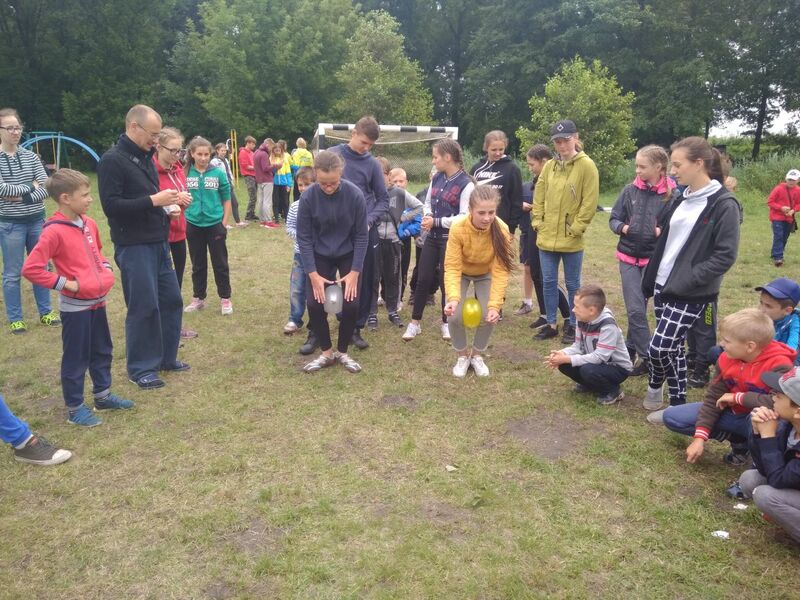 More than 150 Federation members attended the camp. 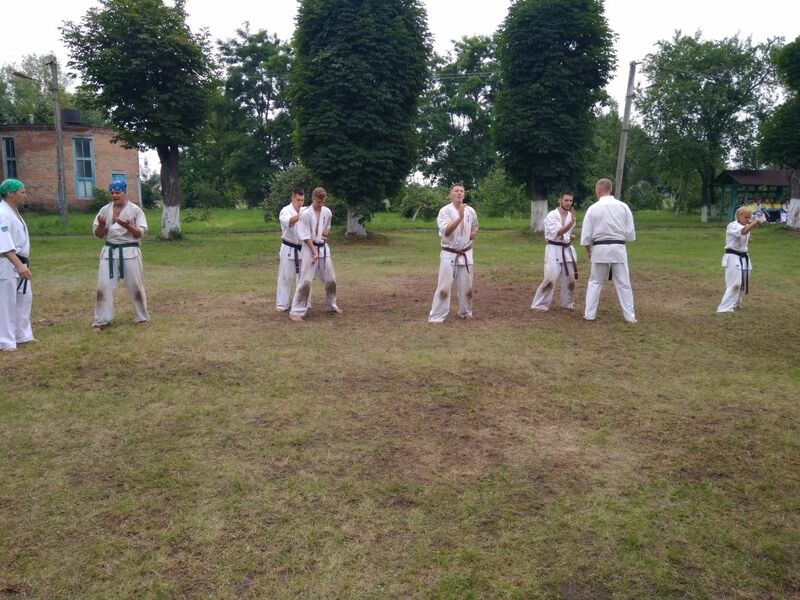 They represented Lutsk, Dnipro, Mukachevo, Brovary and Kovel branches. 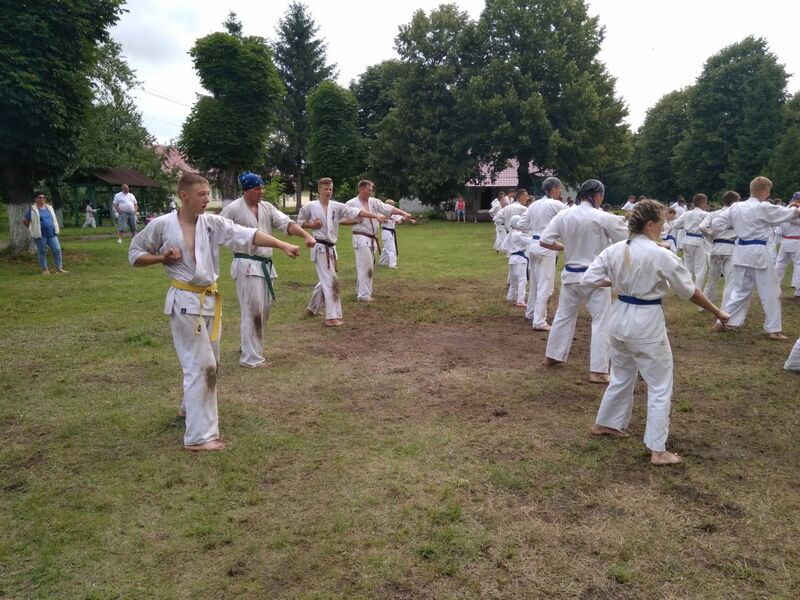 The camp was organized, as always, by Shihan Dmytro Volynets (head of the Federation), who considers it to be an important uniting factor, a place for sharing experience and healthy collective recreation. 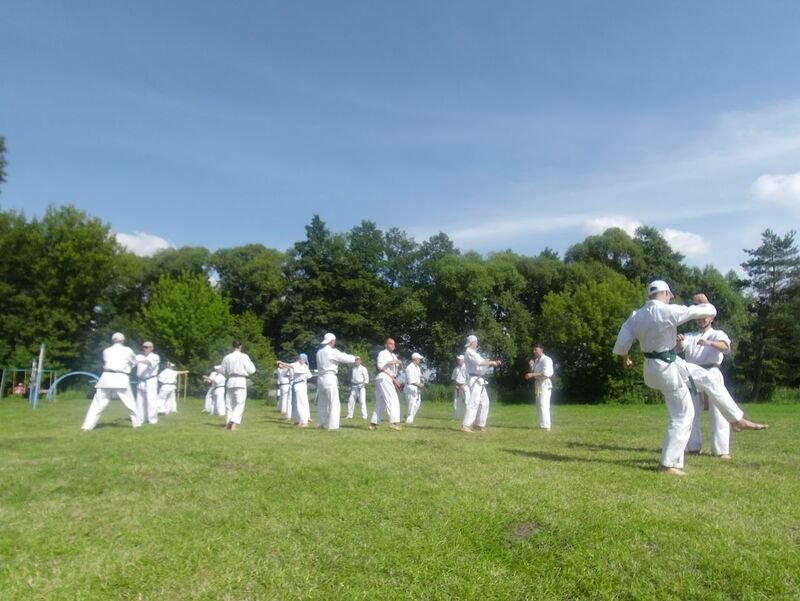 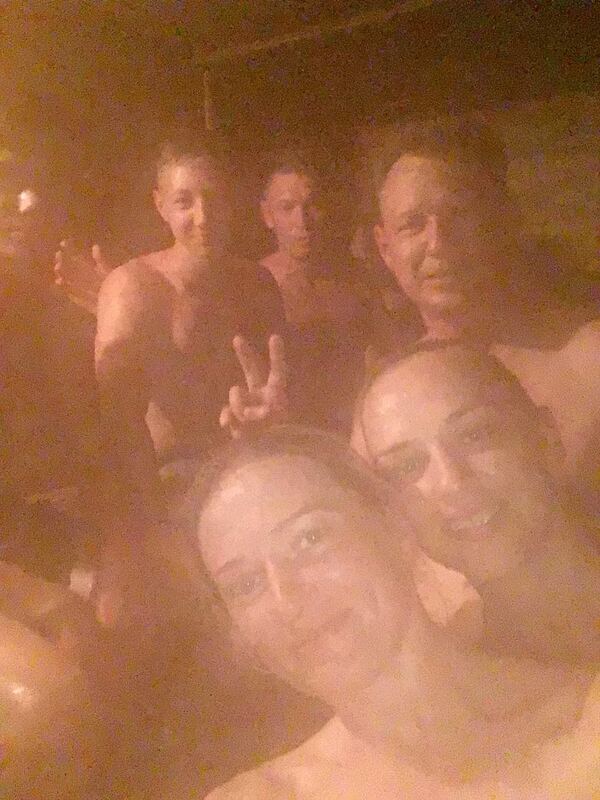 The camp traditionally lasted 8 days: 5 intensive training days, a test day for beginners and experienced sportsmen, and 2 days for active rest. 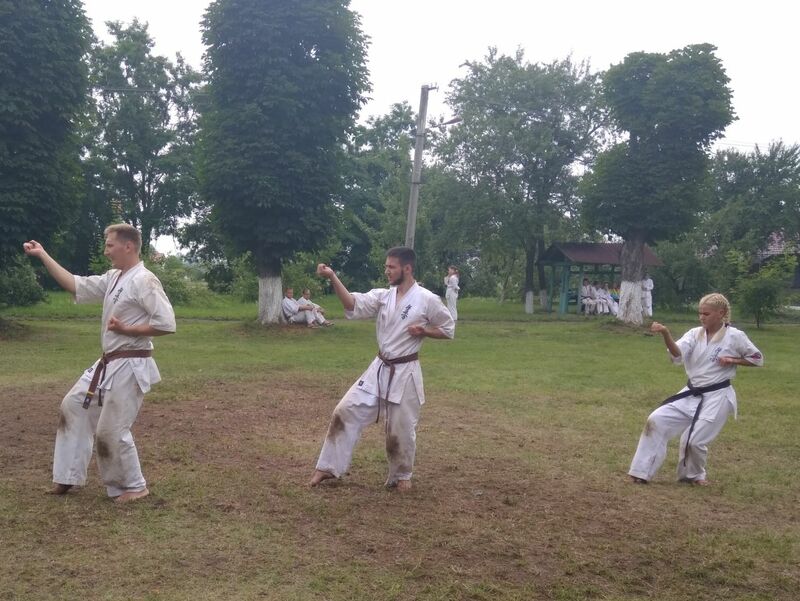 Trainings were conducted by instructors from different regions of Ukraine, who showed their skills and shared training methods. 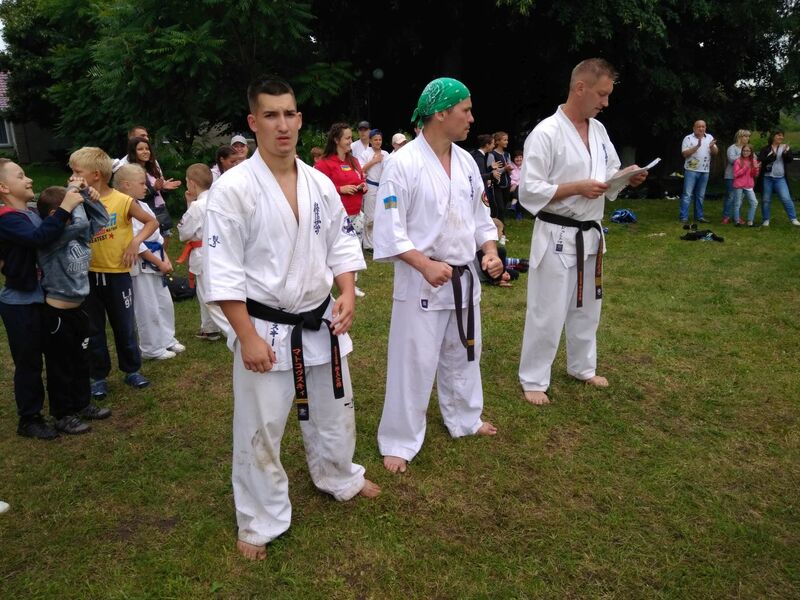 This year Mat’kovski Katerina has successfully passed test for the 2nd dan, and two more sportsmen joined the black belts cohort after passing test for the 1st dan, namely Gel’kin Artem and Kondratskyy Arthur. 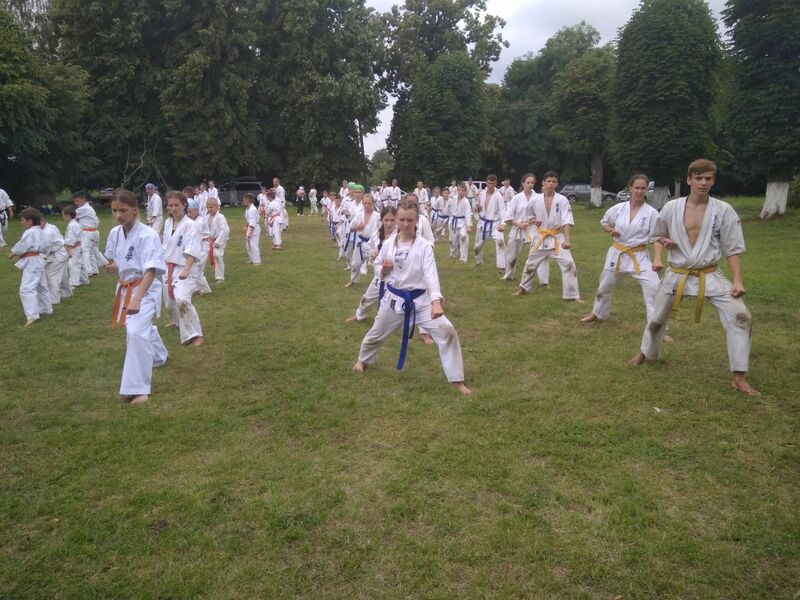 Executives of the Federation thank all the participants of the camp and greet sportsmen who have successfully passed their tests!